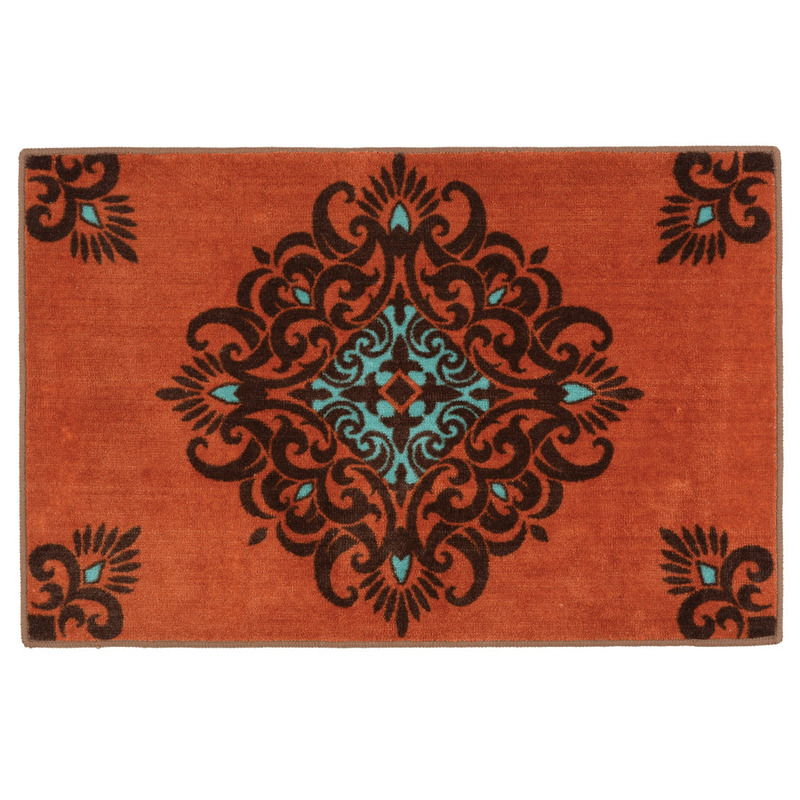 A Lone Star Western Decor Exclusive - Add a bold southwest accent to your floor with turquoise and brown scrollwork on this acrylic rug with a latex back. Dry clean. 24"W x 36"L. Allow 1 to 2 weeks.